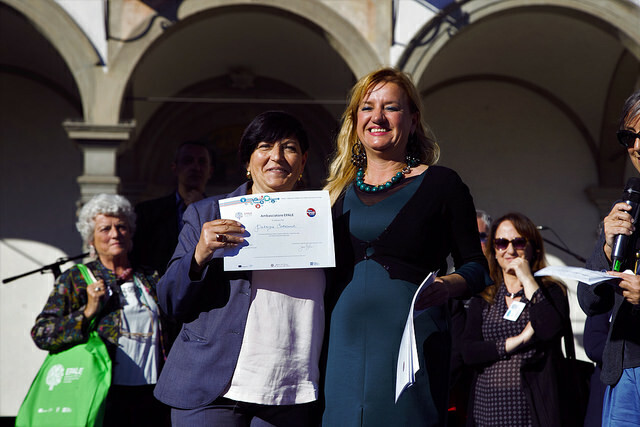 On May 8th, during the Festival of Europe organized by the Erasmus + National agency and which took place in Florence, in a beautiful location, 52 EPALE Ambassadors have been appointed from all over Italy during an official ceremony. EPALE – an initiative of the European Commission – is a multilingual community open to teachers, trainers and anyone who is engaged in formal, no formal and informal adult education in Europe (https://ec.europa.eu/epale/). I am proud to be part of the Italian team of Ambassadors – being selected among about 250 candidates – for my commitment in prison education and for being a member of the EPEA family. 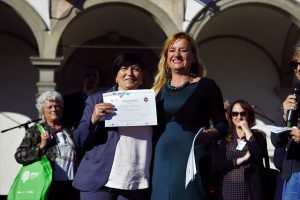 Last year the Italian EPALE National Unit organized a national conference about prison education and Annet Bakker, our CHAIR, was invited as key note speaker. On that occasion she introduced EPEA to the Italian audience, its objectives, activities, mission and main goals and all participants really appreciated that. 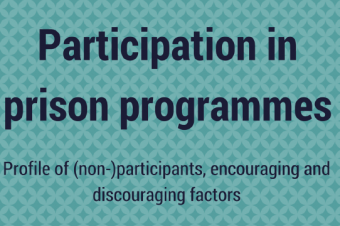 How are the EPALE Ambassadors expected to contribute to Adult learning? 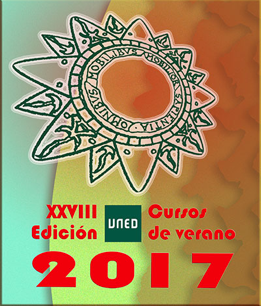 by setting up networks among those actors highly committed in the field of Adult Education. During the Festival of Europe, before the final ceremony, the National Unit pointed out that Italy is the second European country for memberships and number of accesses to the EPALE on line platform. Setting up initiatives aimed at implementing the Memorandum of Understanding signed by both the Ministry of Education and the Ministry of Justice in May 2016.